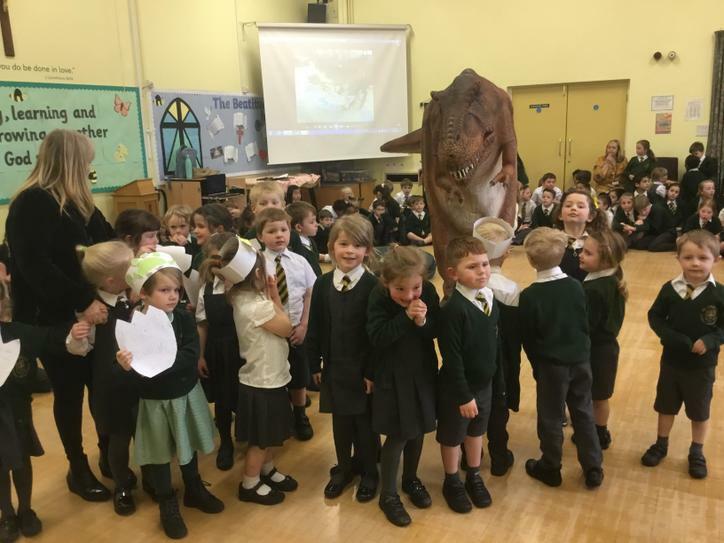 A visit from the dinosaurs! 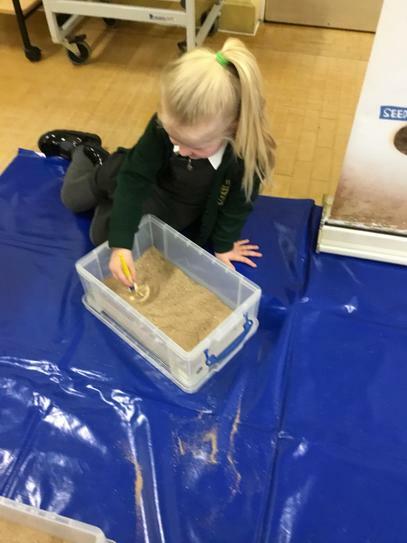 We had such an exciting day on Friday! 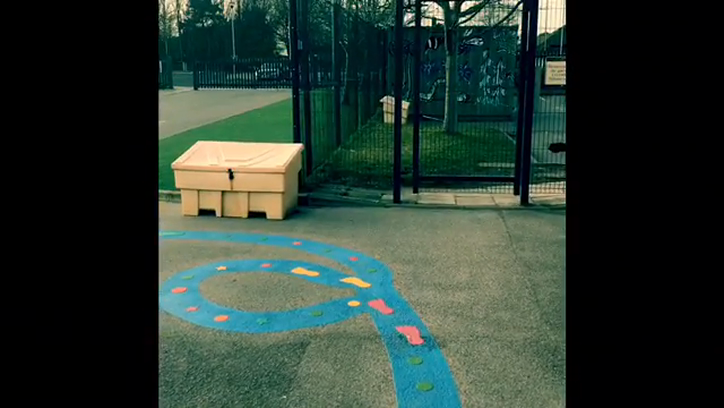 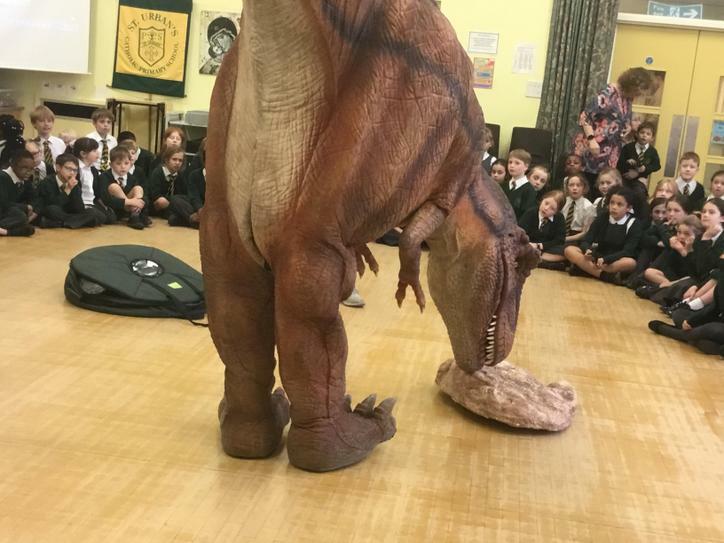 We arrived to school to the news that some dinosaurs had been to have a little look around our school! 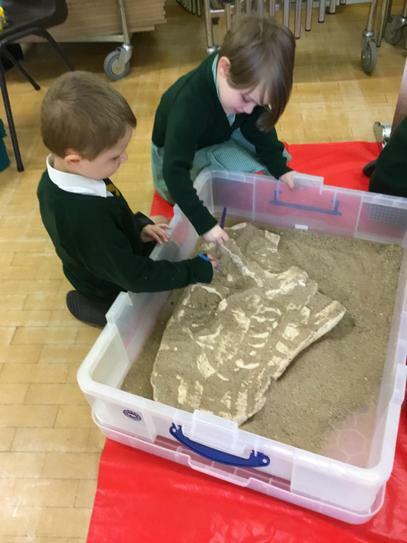 They left us a film to watch, which triggered lots of questions and discussion! 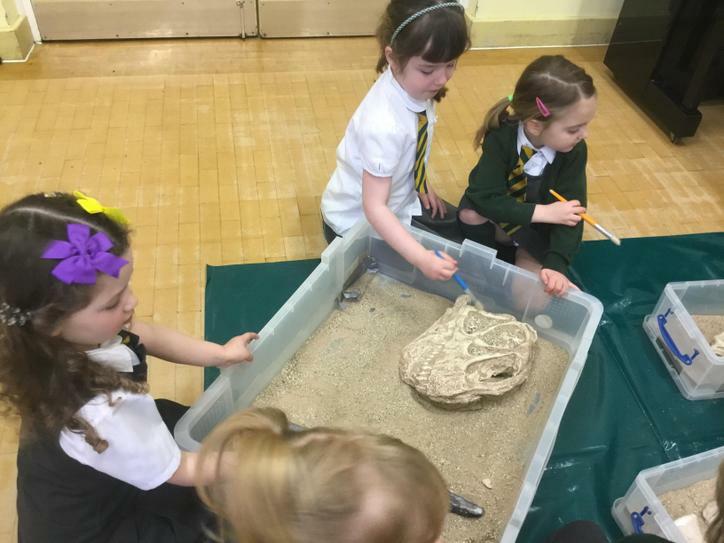 The dinosaurs did leave us a note, however, reassuring us that they would not be coming back! 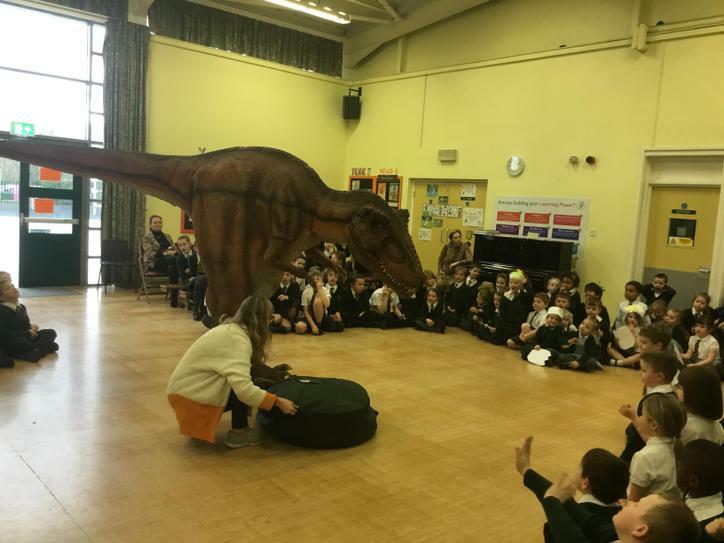 We have posted an excerpt from our dinosaur film! 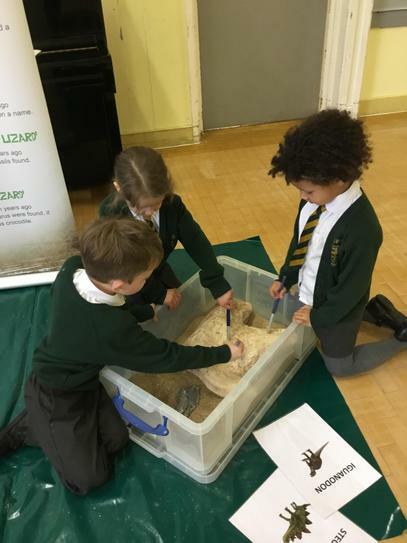 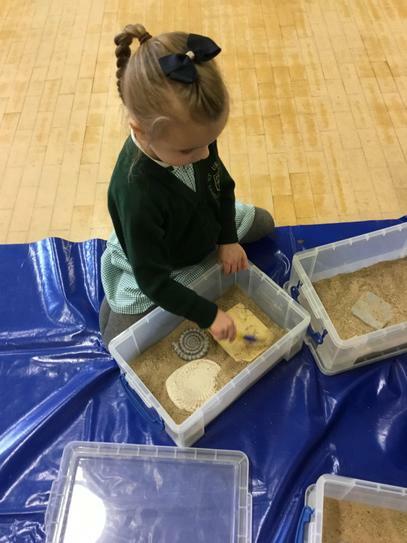 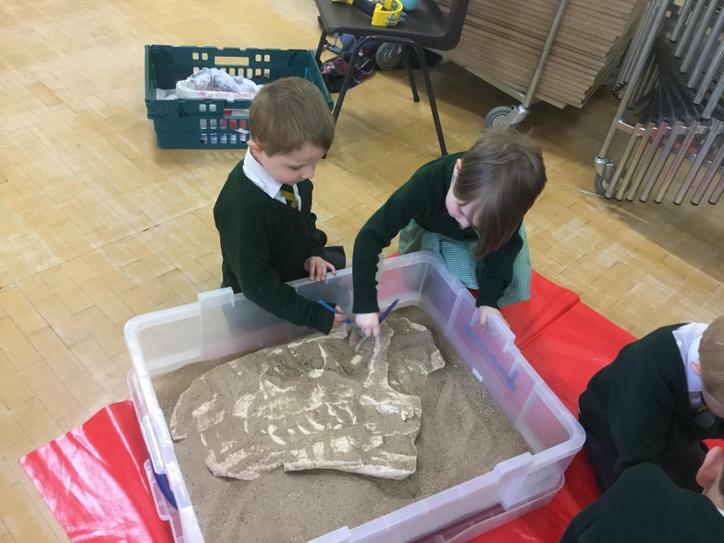 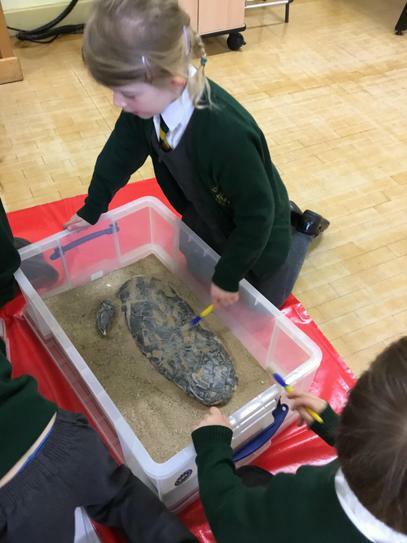 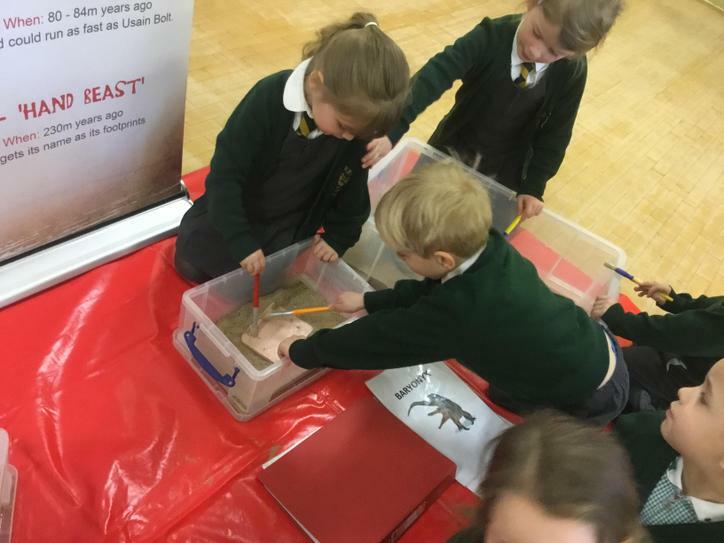 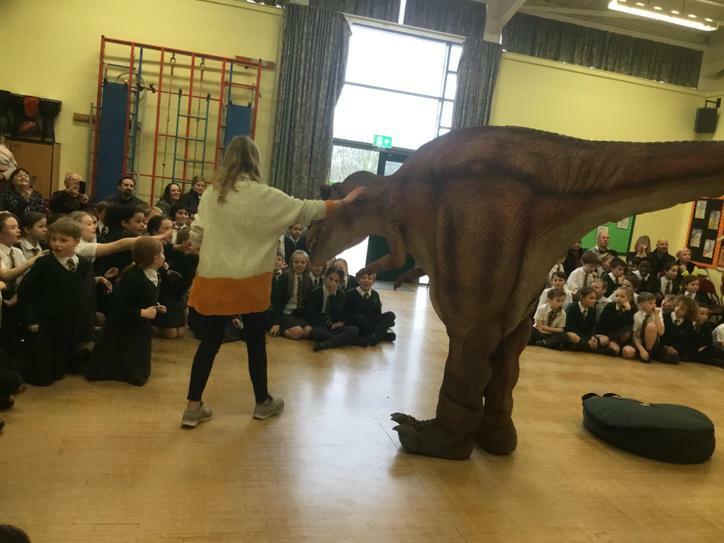 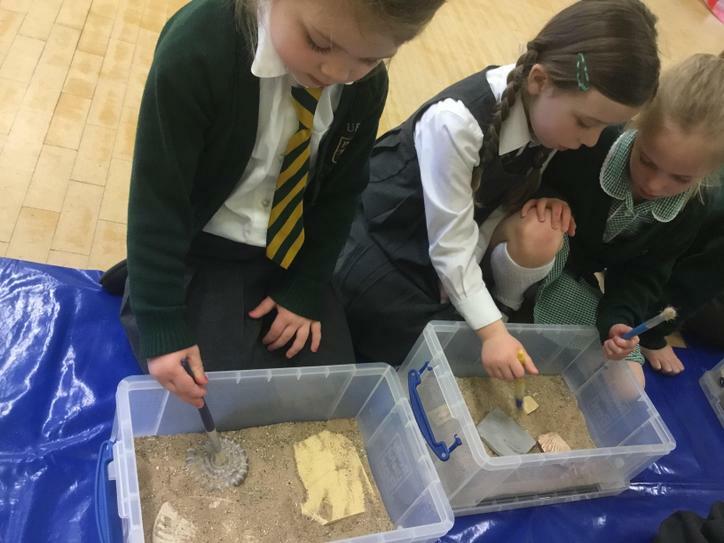 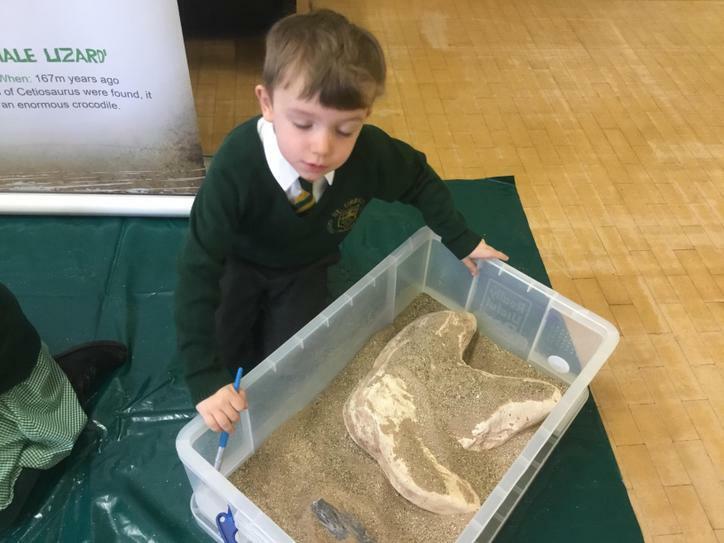 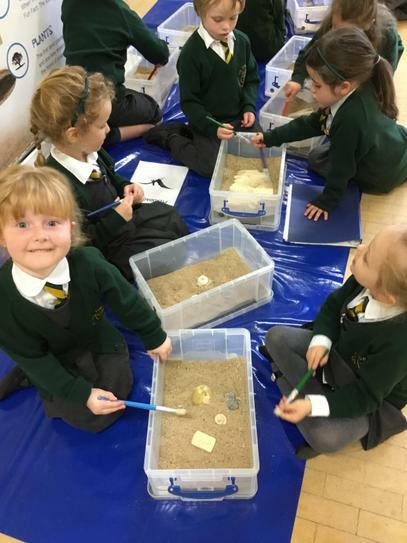 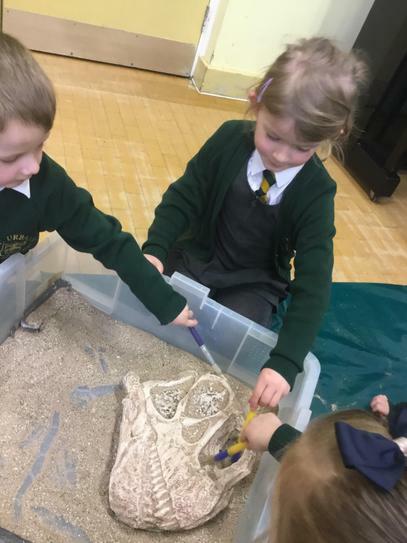 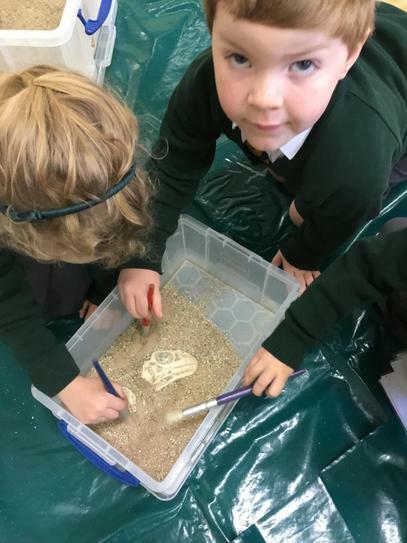 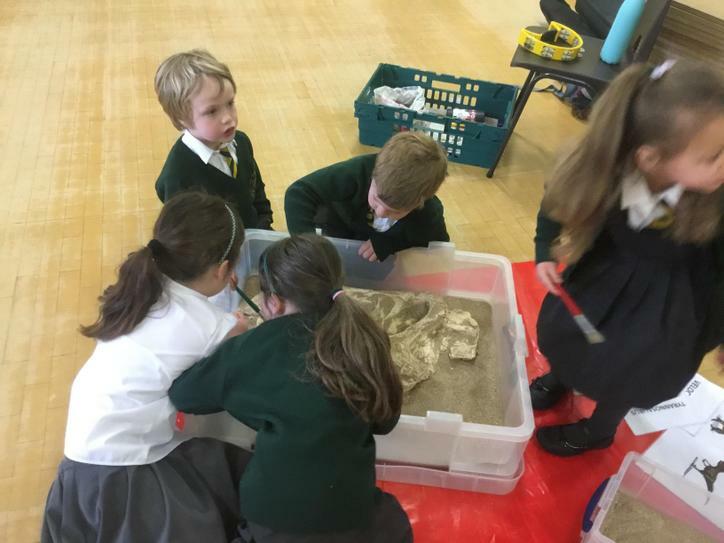 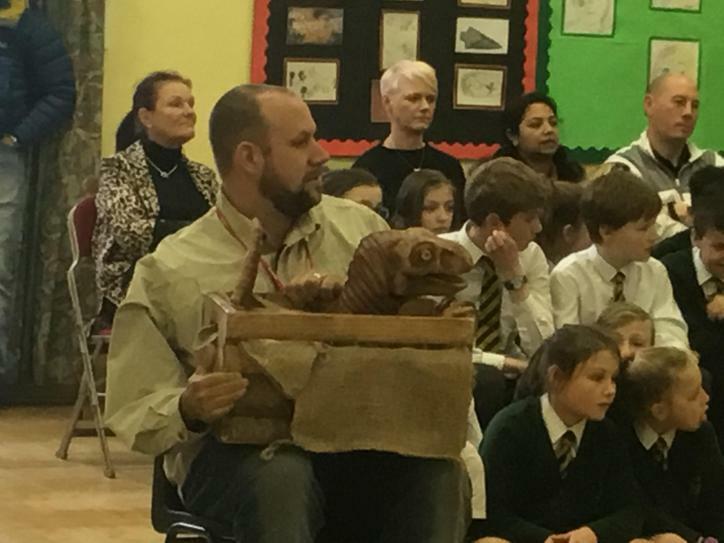 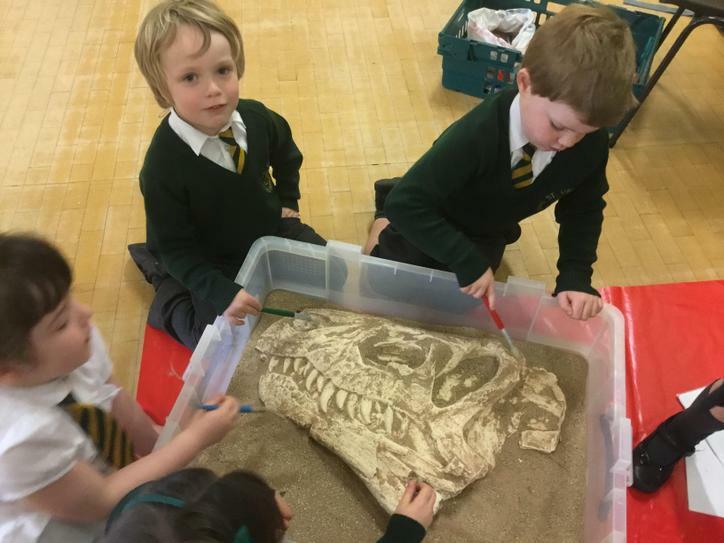 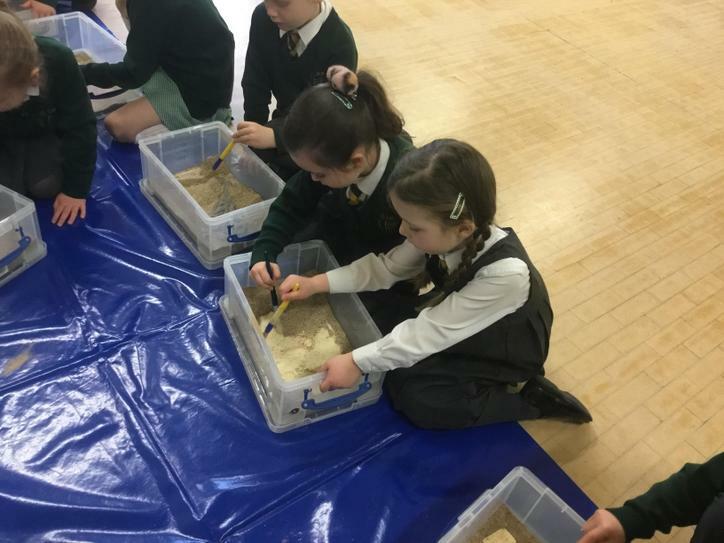 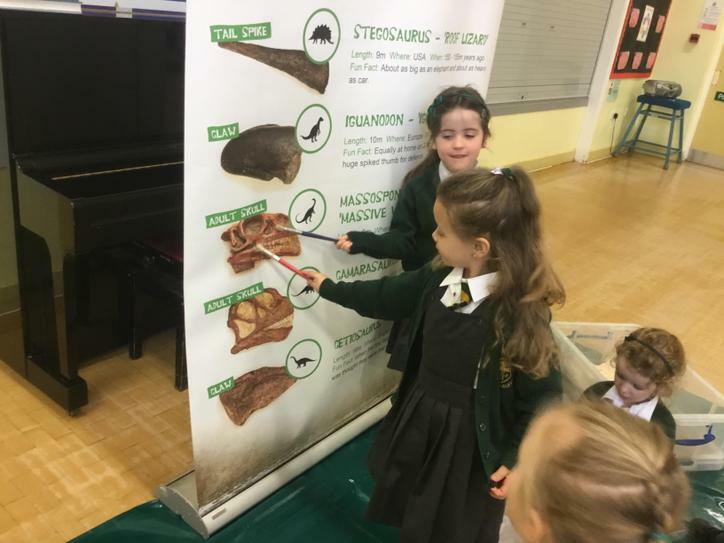 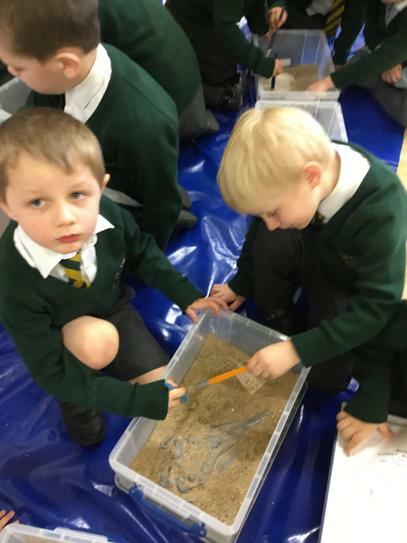 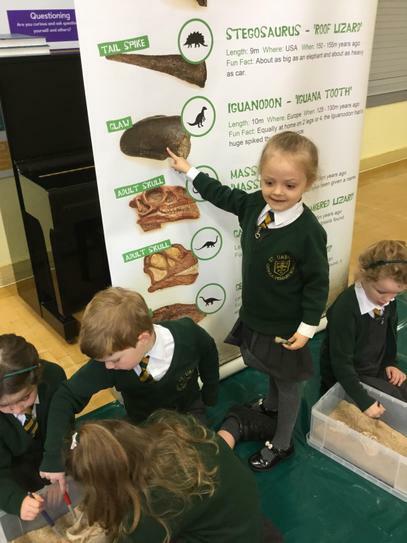 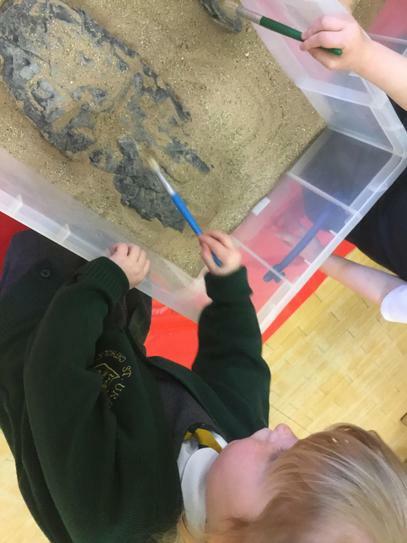 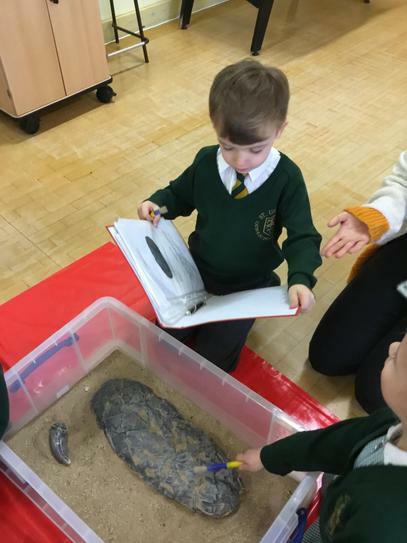 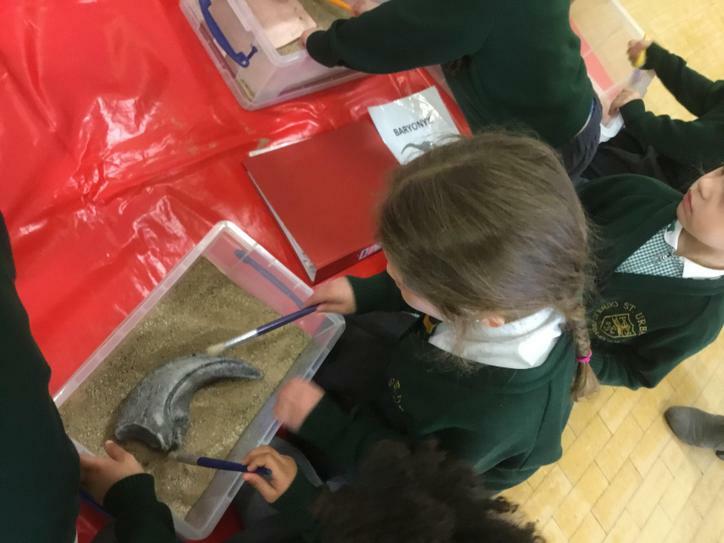 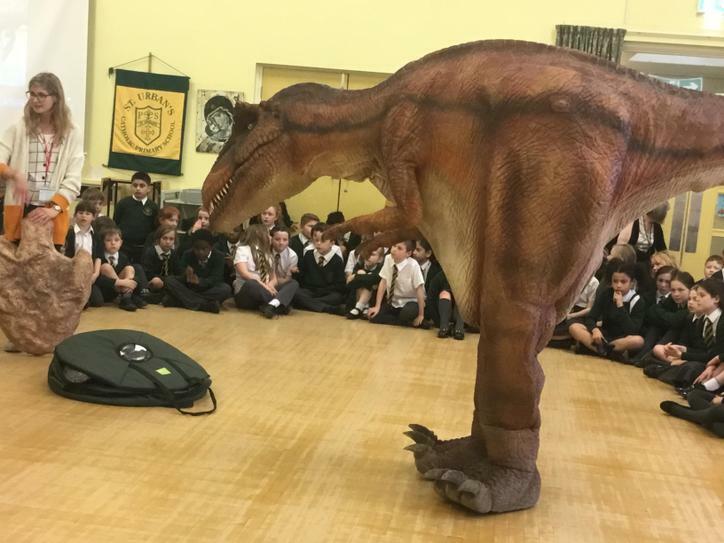 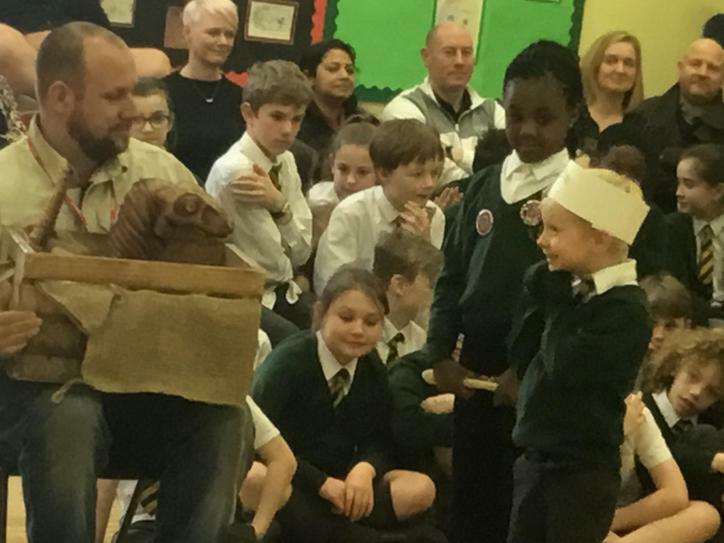 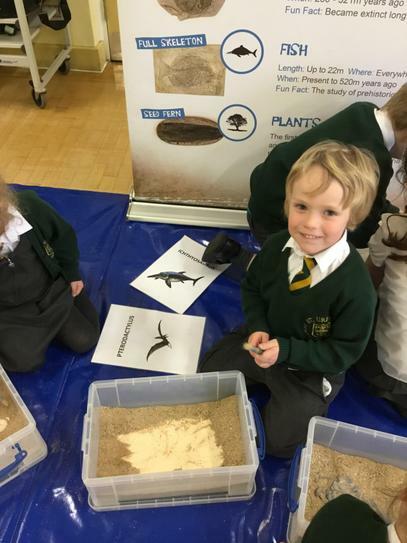 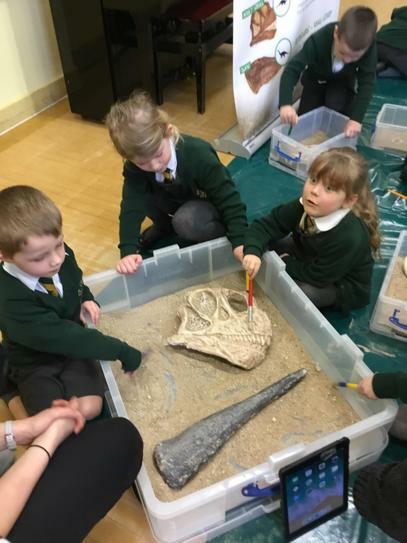 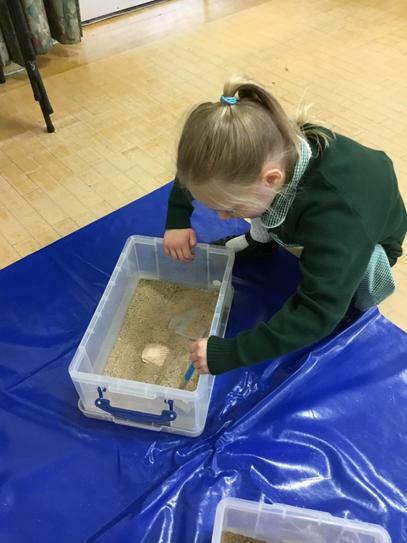 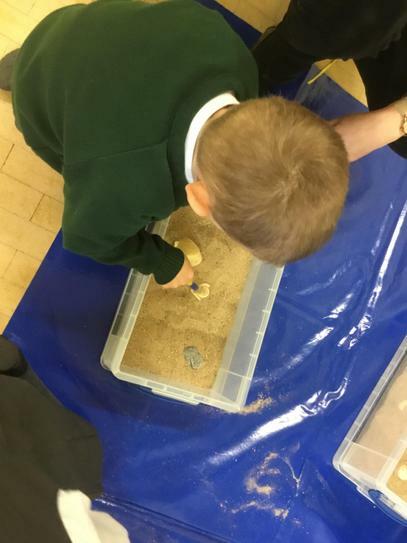 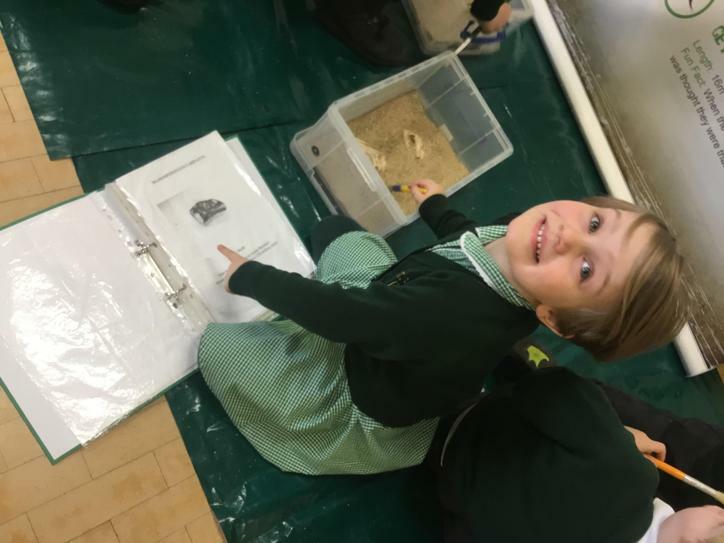 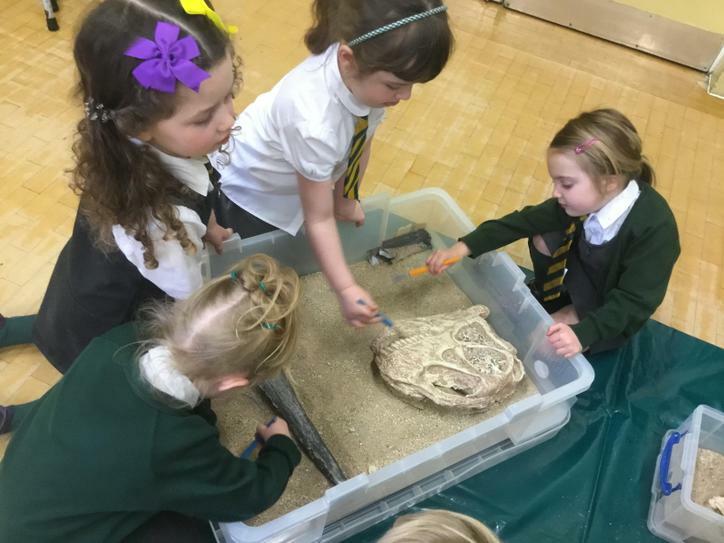 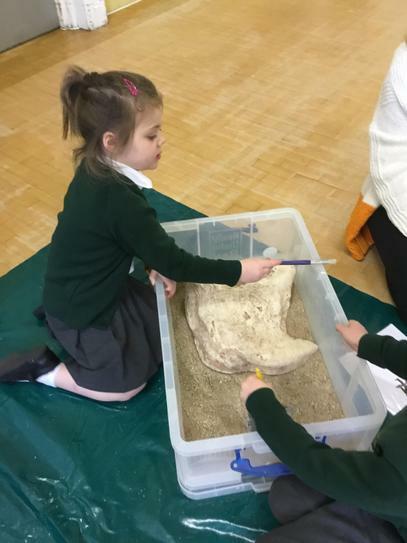 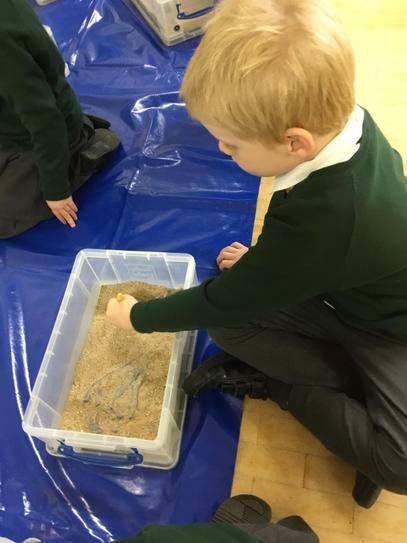 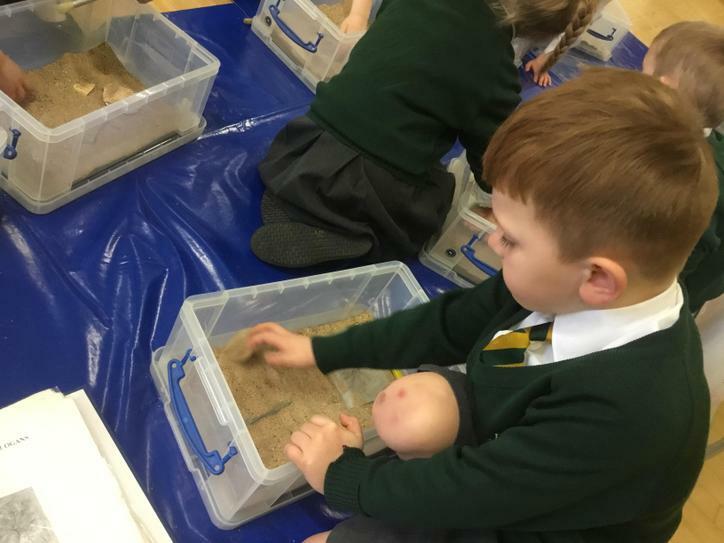 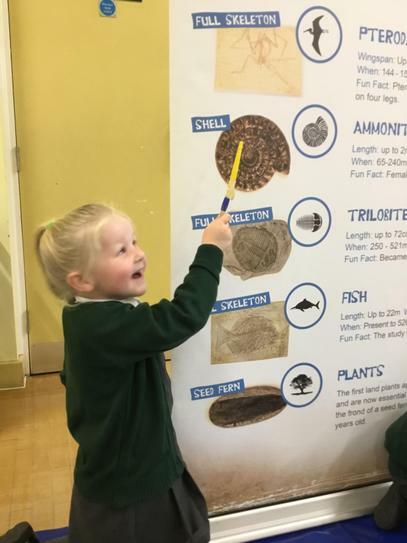 Below are some pictures of our Dinosaur Day - we uncovered the fossils of different dinosaurs, met a baby dinosaur called Jack and had our photo taken with Sophie, a Tyrannosaurus Rex!